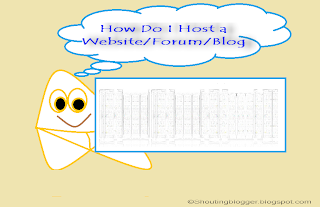 To get your website /Forum / blog on internet live for 24/7 you need a domain name and webhosting space in which you can park your domain name and upload your website script . So that your visitor can access to your website any time by typing domain name know as web address . Hosting your own website is the very easy job but most difficult part is to choose best hosting company with best hosting plan since it require money and your website future so utmost importance should be given . Hosting Plan and Webhosting company are only thing responsible for your your website health status so make sure to choose best Web hosting company and plan for your website make sure web hosting Company and Hosting plan fulfill your website future requirement like Website Space , Bandwidth ,up-time and database ,platform etc, It is Strictly important for the web hosting company and web hosting plan to Satisfy Minimum system requirement for your website script otherwise your website will not be installed Properly and all of your money and time would be wasted . One of the basic step to get started with hosting your website is to have website Script .So Before Buying web host space make sure to get your website script ready because Hosting plan depends on your website minimum Requirement and your website future need , If you are not good with designing Stuff then you may higher Good Web designer or search for website Script over internet as per your need and purchase it . For example : If i wish to Create a Wallpaper website then i would either hire a web designer so that he may develop my wallpaper script according to my needs or simple I will buy Wallpaper script from internet . Hosted website need address by using which user may see you website this address is know as Domain name , there are two type of domain name Top level domain name and second one is Sub domain name , Top level domain name are more Seo friendly then low level but they are paid not free to use whereas Sub domain name are less seo friendly and available free of cost , Its does matter which type of domain is being parked to your hosted website because if your Domain Contains important Keyword in your domain name then there are more chance of getting higher page rank whereas it also recommended to buy website relevant Top-level or sub - level Domain name which is easy to remember. 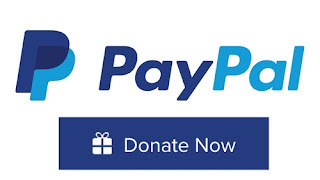 For example : If you thinking to create Wallpaper website then your domain name (Top level domain name or Sub-level domain name) Must contain wallpaper keyword in it for example , www.examplewallpaper.com /www.www.examplewallpaper.Subdomain.com etc . Now next step is to search for the best web hosting companies which fulfill your website minimum system requirement along with value for money .Do not just Buy Hosting service from any web hosting company make sure to compare various web hosting Companies for money and feature . Since there are some web hosting Companies which are Just good for nothing and cost higher then other for service , where some web hosting companies cost low price with amazing features along with Coupon code and big discount . So do bit research about web hosting companies and save huge money . When it comes to hosing plan , There is no doubt ,Top hosting plan offered by the Web hosting company is best for your website but why to invest lots of money in hosting when you can save lots of money so make sure to analyse all the hosting plan offered by the web hosting company and select the best hosting plan according to your Website and website traffic Requirement do not compromise with your web-hosting plan at the cost of your Bandwidth , up-time ,Diskspace for the sake of saving few $ . Limited bandwidth and low up-time may results in limited traffic to your website and have bad effect on search engine visibility . To upload / Edit /delete your website Script from your computer to your web-server i.e from one host computer to another host computer you need a FTP ( File transfer Protocol ) client software , So get one FTP client software and install in your computer . Once you installed FTP Client Software , then you may access your web-server directly by entering your web server FTP host name , FTP user name ,FTP password in your Ftp Client and may upload ,Delete ,edit in your web-server. Before uploading website script to web server log in to your web-hosting account's access cPanel and Create MySQL Databases using MySQL from cPanel by entering MySQL database name ,MySQL user name ,Password for MySQL user etc . Once your database is Created then note down your database like MySQL Database, MySQL User ,MySQL Host and Password for Website Mysql connection . 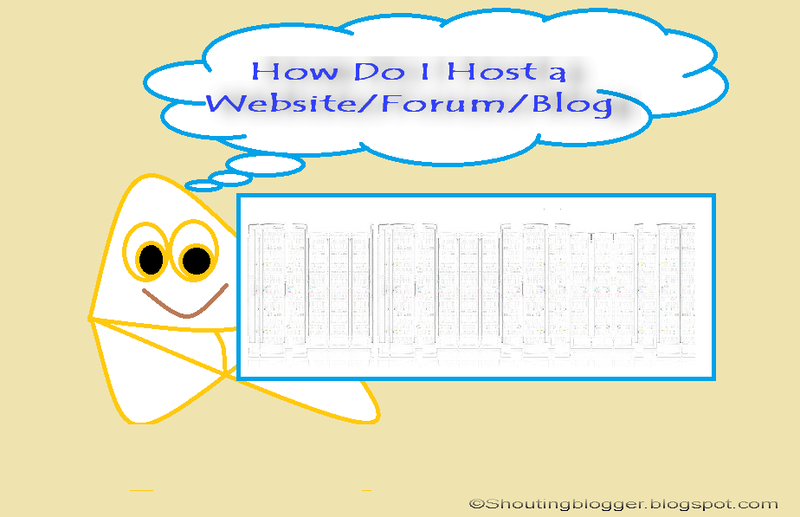 Once you have chosen hosting plan and purchased Web-hosting space for your website , then your need to upload your website script to Web server , Go to Web hosting account ,Access your cPanel and Search for Ftp details and note down FTP host name ,FTP user name ,FTP password and then open your ftp client and enter FTP host name ,FTP user name ,FTP password and click connect , Once you get successfully connected then upload your website script by copying and dragging to connected web server (According to your website installation guide ) either to public_html or your domain name and wait for 100% uploading . After Installing your website / forum successfully , Rename your website Installation folder/file and CHmods carefully according to your website installation Guide .